In nature, the female parent incubates eggs inside her nesting box. 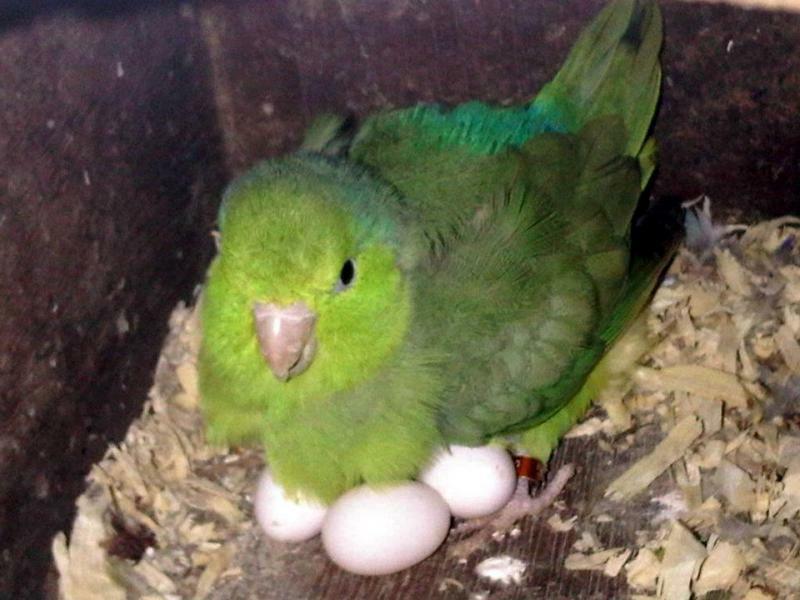 However, the early stage of incubation is not continuous, as the female parent often “takes breaks”. Because of this intermittent nature of brooding, only after 7 days it is possible to be certain of an egg’s fertility. In addition, sometimes the female parent starts to incubate even before laying all of her eggs, causing the last egg to develop a bit later. When a breeder wants to take the eggs for artificial incubation, it is better to wait until the entire clutch has been laid and harvest from the nesting box few eggs at once. This provides better chance for all of the eggs to hatch more or less in the same time. It is good practice to leave them at least 24 hours before incubating them. 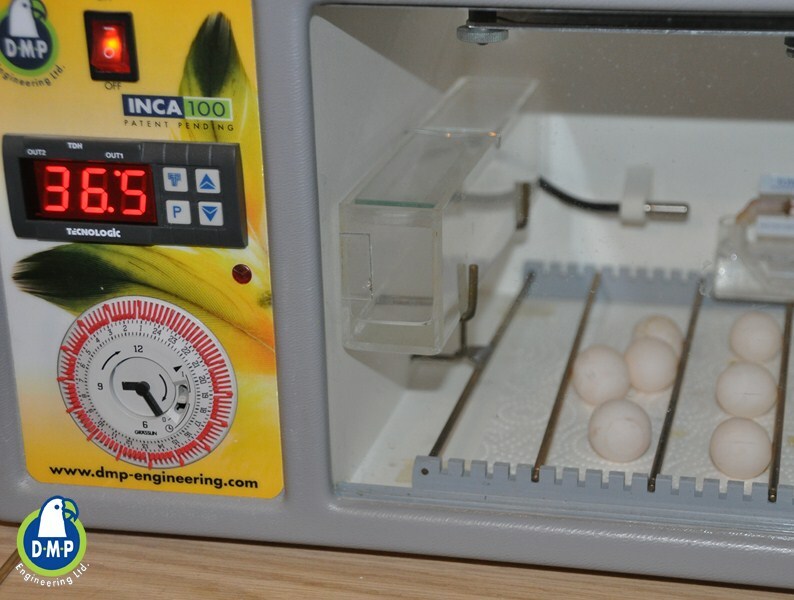 Fertile eggs can be stored for up to 7 days before being incubated and it is recommended to keep them at a room temperature of between 15ºC to 22ºC. During this waiting period the eggs must be turned manually several times a day. It is possible to determine whether an egg is fertile or not starting from day 4 of incubation, however it is advised to wait 7 days to be on the safe side. 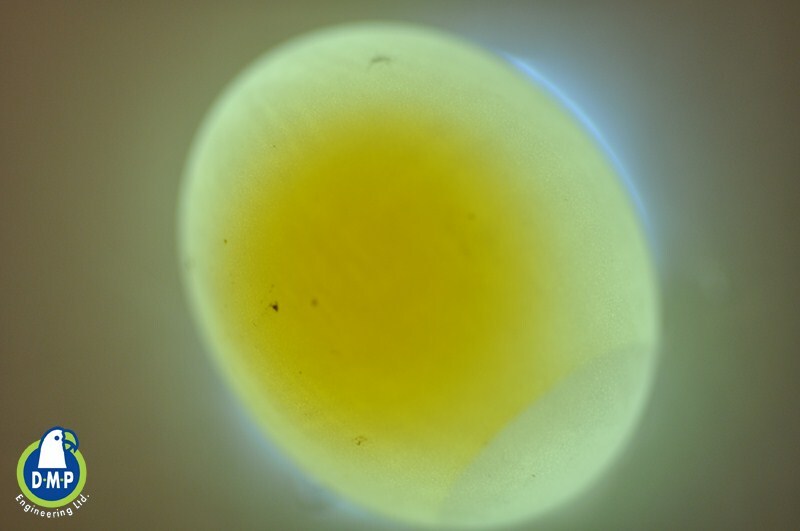 Placing an Egg Candler or another light source behind the egg allows you to observe the development of an embryo’s blood vessels around the inner surface – a sign of a fertile egg. If after 7 days of artificial incubation no blood vessels appear – the egg is infertile and it is recommended to take it out of the incubator. D.M.P. Engineering developed an affordable Egg Candler for poultry and all other birds. This egg candler allows you to examine fertility in both white and brown eggs as well. glad to see candler. what is cost in rs.